A stock rocket called PassengerRocket1. 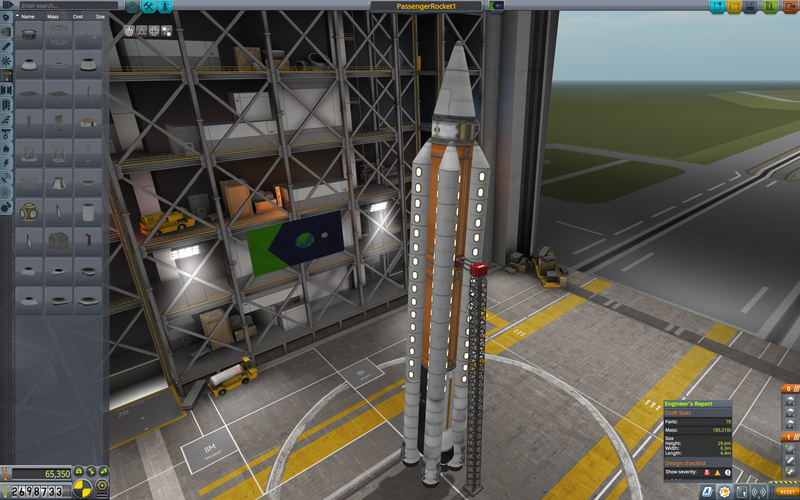 Built in the VAB in KSP version 1.3.0, with 78 of the finest parts, its root part is ServiceBay.250. This is an entry to the Cheapest Passenger Rocket SSTO forum challenge.